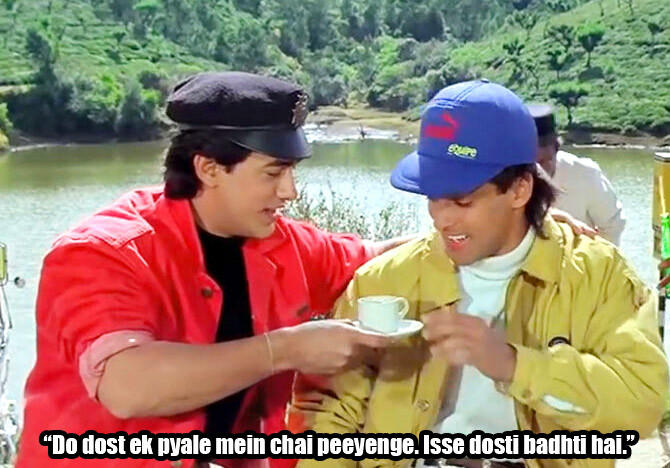 Sukanya Verma tells you 10 things Bollywood can teach you. 'Gyaan baatna chahiye re,' exclaims Circuit in Lage Raho Munnabhai. It's a motto Bollywood lives by wholeheartedly. There's a wolf-whistle worthy dialogue for every situation, emotion and ideology. 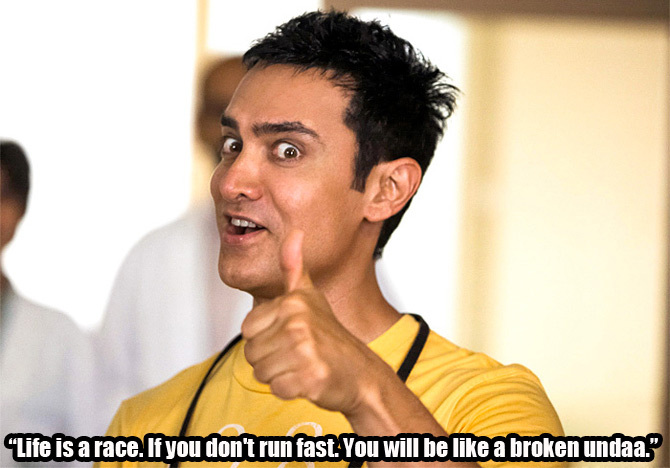 Here are 10 quick life lessons imparted by our movies to brighten your day. Sometimes it takes a dying man to appreciate the gift of life. Anand's live-not-exist funda makes total sense around today's technology slave generation. 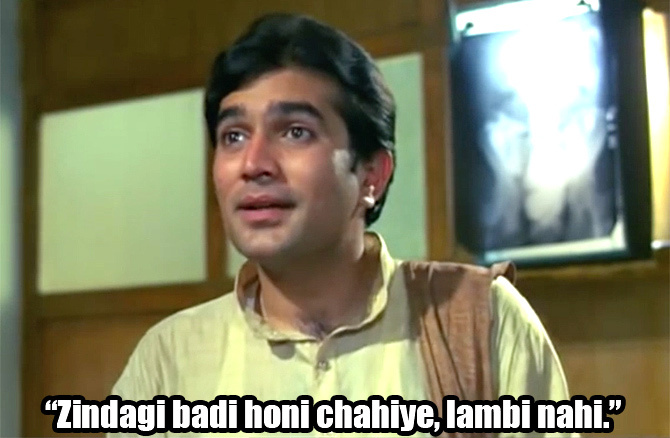 Especially if that sher happens to be Raaj Kumar. Words of wisdom from Katrina Kaif. Go on, seize the day, spend all your savings on that long dreamt Spanish holiday. Certainly not something Kabir Bedi would say. 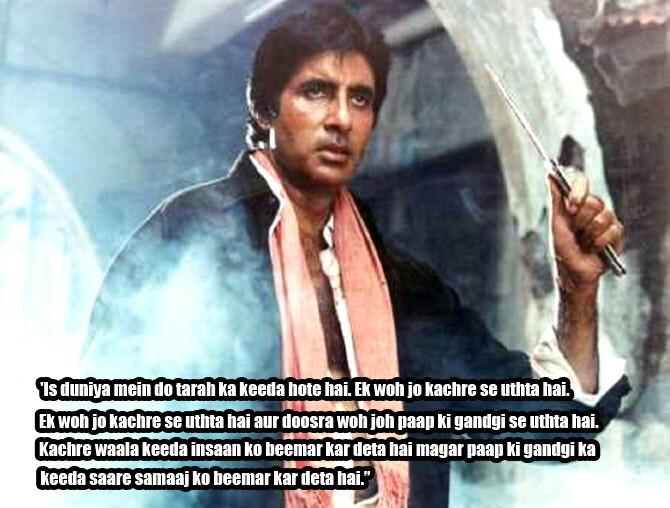 Swachh Bharat Abhiyan, Big B style. 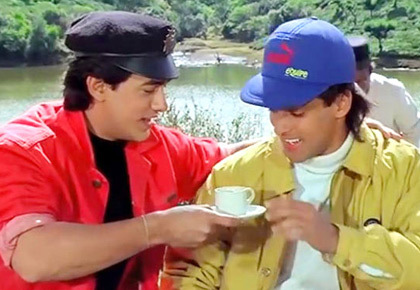 Look at Amar Prem, 24 years and still going strong. Buying into this theory has made Rohit Shetty a very rich man. You better believe ANYTHING Aamir Khan says. The man and his marketing sense NEVER go wrong. 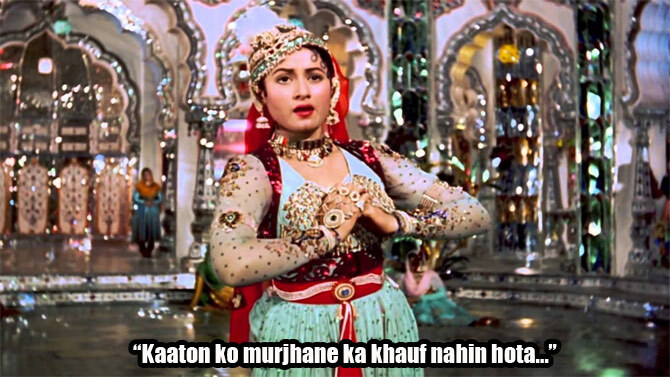 Madhubala's ability to see a silver lining even in the most hopeless situation gives us hope. 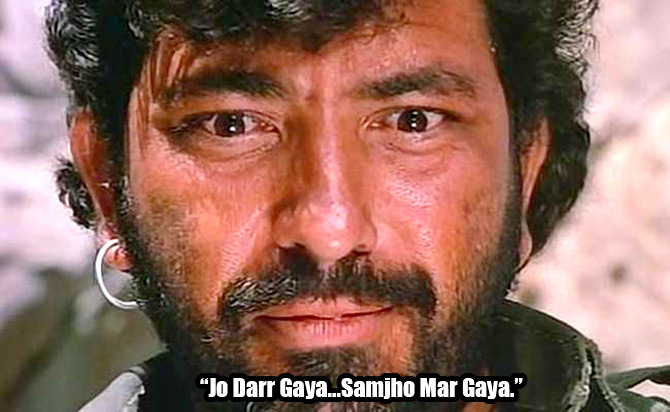 Who better than the menacing Gabbar Singh to tell us how to be brave in his own twisted manner?